Shapes Normally somewhat irregular in shape about 4 to 6 in. (10–15 cm). Oysters are one type of bivalve molluscs that are consumed throughout the world. There are several varieties of oysters, some of which mostly create pearls and these are not typically consumed by people, but the variety of oysters bearing the scientific family name of Ostreidae are normally eaten as a delicacy. These are also called true oysters, while feathered oysters (those bearing pearls) are in a distant family called Pteriidae. Edible oysters have been a part of the human diet for at least 700 years, but have likely been eaten in raw or cooked forms for much longer. The most commonly used oysters are windowpane oysters, which are harvested for their translucent shells and different decoration pieces are made from them. The word oyster was first used in the 14th century, which is derived from the Old French word ‘oistre’. This French word is in turn derived from the Latin word ‘ostrea’. Oyster is the name given to the different families of bivalve molluscs and saltwater calms that live in the marine environment. The outer covering shell is normally oval or pear-shaped, but will vary widely in form depending on what they attach to. Normally they are somewhat irregular in shape about 4 to 6 in. (10–15 cm) long. The shell is made up of two valves, the upper one flat and the lower convex, with variable outlines and a rough outer surface. Shell is whitish-gray colored and edible components are the meat inside the oyster that are porcelain white colored and once the shells have been cracked, you can cook this meat in a variety of ways, but they can also be eaten raw, and is often favored in that way. Meat has delicate, toothy texture, rich flavor, and salty liquor. There is a long link to oysters and love. It is reputed for their aphrodisiac powers and is preferred for centuries by lovers, as far back as the Roman emperors. The Greek goddess of love was said to have appeared from the sea on an oyster shell, instantly giving birth to Eros and the word “aphrodisiac”. The famous Casanova, renowned lover, would start a meal, dining on 12 dozen oysters. 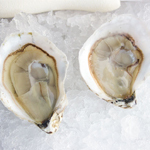 Whether it’s for Valentine’s Day or any day, Whole Foods Market has kindly shared their tips and tricks for buying and preparing oysters at home. 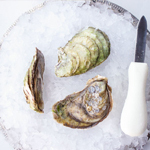 For oyster-loving people or that budding Casanova looking for ways to sweep their sweetheart off her feet, Whole Foods Market has the perfect aphrodisiac – a romantic and gourmet Valentine’s Day experience at home with oysters. Apart from their wonderful taste, oyster is a good source of nutrients, vitamins and minerals. Consuming 85 gram of oyster offers 74.06 mg of Zinc, 13.29 µg of Vitamin B-12, 3.65 mg of Copper, 56.5 µg of Selenium, 5.91 mg of Iron, 10.69 g of Total Fat, 354 mg of Sodium, 135 mg of Phosphorus, 0.416 mg of Manganese and 7.45 g of Protein. Moreover many Amino acids 0.089 g of Tryptophan, 0.31 g of Threonine, 0.337 g of Isoleucine, 0.542 g of Leucine, 0.495 g of Lysine, 0.169 g of Methionine, 0.111 g of Cystine and 0.299 g of Phenylalanine are also found in 85 gram of oysters. There are over 150 varieties of oysters harvested and sold in North America, yet they comprise a total of only 5 species of oysters. And although each species does have its general characteristics in regards to flavor, their “finishing touches” can be attributed more to their merroir (local habitat) than to their species. In this sense, oysters are much like fine wine…each one is distinctly different from each other as they take on the flavors indigenous to the regions and conditions under which they were grown. Pacific oysters are small and sweet and the world’s most cultivated oyster. They are growing in popularity in both Europe and the West Coast, where they are starting to over-run the native Olympia. Pacific oysters are used to describe all small Pacific oysters like Kumamotos and Miyagis. Kumamotos, however, were found to be their own species. Pacific has a distinctly more fluted, sharply pointed shell than Atlantics or European flats. Kumamotos are small, sweet, almost nutty oysters considered by their deep, almost bowl-shaped shell. Like Pacifics, they have deeply fluted, sharp, pointy shells. They spawn later and in warmer water than other oysters, so they remain firm and sweet well into summer months. Kumamotos are widely cultivated in Japan and the West Coast. The name Kumamoto is so valued that Kumamotos are always considered as such, although some places will also specify where they are from. European flats are often known as Belons. While Belons are, certainly European flats, not all European flats are Belons (Belons must be grown in the Brittany region of France). Once the most common oyster in Europe, Europeans are progressively appreciative of Pacific oysters while Maine and Washington state oyster farms are increasingly charmed by European flats. European flats are considered by their smooth flat shell (no surprise there!) and lovely seaweed and sharp mineral taste. They have a meaty texture and, for those used to different kinds of oysters, almost a crunch to them. Olympias are the only oyster indigenous to the US Pacific West Coast. They were so popular during the Gold Rush era that by the end of the 1800’s they were wiped out and for many years thought to be extinct. But some wild stock was eventually found in the Pacific Northwest and is now cultivated successfully by a few farmers. Named after the town of Blue Point, Long Island, these are perhaps the oysters you will most commonly find on the East Coast side of your raw bar. These medium-sized oysters are mild, pleasantly salty and very meaty. Blue points are great beginner oysters, as they won’t overwhelm you, and go well with a classic spicy cocktail sauce or this celery seed and dill spiked version. 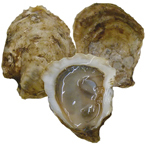 Malpeque oysters have very tender meat, with a nice balance of brininess and sweetness. These crisp oysters are occasionally said to taste a bit like lettuce. A little lemon and a dab of horseradish should be all you need on these beauties. Beau Soleil oysters are Canadians as well, but these meaty bivalves hail from New Brunswick. These oysters are known for their deep cups and meaty texture, which means they can stand up to this spiced-up, citrusy mignonette. These southerners can be tricky, as they are often impersonated. True Chincoteagues are long, skinny things with plenty of salinity and a sweet finish. But, other oysters are often brought to Chincoteague’s waters to hang out in a salt bath for a bit, making them mostly just salty. If you get true Chincoteagues, enjoy them on the half shell. If you get imposters, don’t despair — this is a great time to give broiled oysters a whirl. WiAnno oysters are cultivated in a protected in calm, protected beach waters, which make them incredibly clean and quick to grow plump. Because they grow so quickly, their shells can be brittle, making them harder to shuck. If this gives you trouble, it’s a great time to try grilling your oysters — pop them on whole and they open up when they’re ready! Duxbury oysters are grown in some of the coldest water in the Cape Cod bay, meaning they never go into spawn, but they do fatten up as if they are going to. This means that they have deep cups filled with fatty meat that has an extremely buttery finish. These are delightful raw, but because their fat content keeps them from drying out, they are also great candidates for roasting. 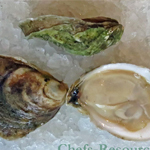 These small, delicate oysters from calm Rhode Island waters are mild, briny and clean. They are only for advanced suckers, however, as these pampered mollusks have very dainty shells. Definitely eat these raw. Belon oysters are not for beginners. This European flat breed is unlike any oyster you’ve ever seen or tasted. They have a very strong flavor, more minerally than briny, and are massive and meaty. They are also pretty rare, so if you get the chance, dive in. 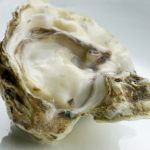 Oysters are unusual and delicious molluscs that offer the human body with a number of unique nutrients and minerals, which subsequently result in some great health benefits. These include the ability of oysters to aid weight loss attempts, boost metabolic activity, increase tissue repair and growth, lower your cholesterol levels, reduce blood pressure, improve your immune functions, aid in wound healing, and promote healthy growth. 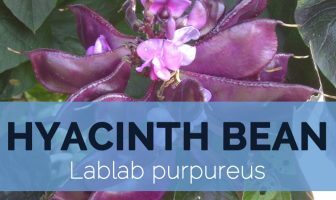 Furthermore, they are considered a powerful aphrodisiac, can improve blood circulation, and increase bone strength to reduce osteoporosis. 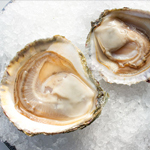 There are numerous nutrients responsible for benefits of oysters on the heart health. But in general, fatty acids are the main contributor. Specifically, with a substantial amount of omega-3 fatty acids, oysters can encourage the number of good cholesterol and obstruct the increase in bad cholesterol. This will prevent these cholesterols from concentrating on the arteries, which increases the blood pressure dramatically. Since oysters work as an aphrodisiac, one of the best health benefits of oysters is to encourage the libido, mainly for male. This mainly results from the impressive amount of zinc in oysters that are even higher than an ordinary person’s daily need by 1,500 percent. Oysters are quite beneficial for boosting the immune system. It is certain that oysters have this quality because of their abundance of vitamin C. However, it is not all about vitamin C.
Due to the high levels of zinc found in these sea dwellers, they are known to stabilize mood. Zinc is considered an essential mineral because it is not stored by the body and needs to be consumed through diet. A research published in the American Journal of Clinical Nutrition found that increased serum blood concentrations of zinc in children were related with decreased anxiety and depression. Another research in the European Journal of Clinical Nutrition found that sufficient zinc intake was effective at reducing anger and depression in young women. Oysters contain a good amount of B12 vitamins, which boost energy and turn the food we eat into energy. Recent research suggest anywhere from 15-40% of Americans don’t have sufficient levels of B12 for optimal health. 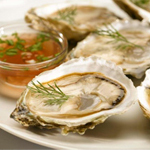 Oysters also contain iron, which helps the body transport oxygen to individual cells giving an energy boost. The nutritional profile of minerals in oysters is impressive enough for us to believe in benefits of oysters on bone health. Oysters consist of good amount of calcium and are undeniably important to maintain strong bones. Oysters top the list of natural sources of zinc, the mineral that ensures that the eye’s pigment is sufficiently produced in the retina. The more zinc, the stronger your eyesight, because reduced pigmentation is often associated to a reduction in the central visual field of vision. Oyster sauce is used in Vietnamese, Thai, and Chinese cuisines as a tempering while cooking noodles, vegetables and stir fries or as a marinade. Oysters can be eaten on the half shell, raw, smoked, boiled, baked, fried, roasted, stewed, canned, pickled, steamed, or broiled, or used in a variety of drinks. They are occasionally served on edible seaweed, such as brown algae. Shells of oysters can be crushed and used as mulch in your garden. Group of oysters is usually called a bed or oyster reef. Each oyster filters about 30 to 50 gallons of water a day. They have extremely strong adductor muscles to close their shells when threatened. Oysters have a three chambered heart, colorless blood and a pair of kidneys. Female oyster can release well in excess of 1 million eggs over the spawning season. Most people think that pearls are round and white; however natural pearls can be colored yellow, rose or even black. Cultured pearls take 3-6 years to reach a commercial size and are produced by placing a polished piece of mussel shell inside the oyster. Chinese were probably the first to raise oysters artificially in ponds and to use their crushed shells in medicines. The Guinness World Record for the most oysters eaten in 3 minutes is 187 set by Norwegian Rune Naeri in 2003. Oysters begin life as males and change to females the next season. Most oysters can live up to 20 years in captivity. Oysters breathe much like fish, using both gills and mantle. Oysters are “alternating hermaphrodites”, which means they can switch sexes from time to time. Only about one in 10,000 oysters contains a pearl. Unlike most shellfish, oysters can have a fairly long shelf life of up to four weeks. However, their taste becomes less pleasing as they age. Oysters should be refrigerated out of water, not frozen, and in 100% humidity. 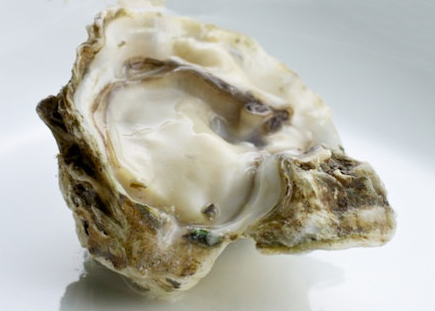 Oysters stored in water under refrigeration will open, consume available oxygen, and die. Oysters must be consumed alive, or cooked alive. The shells of live oysters are usually tightly closed or snap shut given a slight tap. 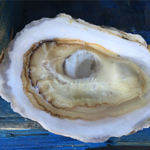 If the shell is open, the oyster is dead, and cannot be eaten safely. Cooking oysters in the shell kills the oysters and causes them to open by themselves. Traditionally, oysters that do not open have been supposed to be dead before cooking and therefore unsafe. As oysters feed on plankton and help keep marine environment clean by removing various toxins, they might gather some dangerous poisons and toxins in their shells. These toxins are produced by microscopic algae such as dinoflagellates, diatoms and cyanobacteria and cause amnesic, paralytic and neurotoxic syndromes called Amnesic shellfish poisoning (ASP), Diarrheal shellfish poisoning (DSP), Neurotoxic shellfish poisoning (NSP) and Paralytic shellfish poisoning (PSP). Amnesic shellfish poisoning is caused by domoic acid produced by diatomes. In humans domoic acid acts as a neurotoxin and causes permanent brain damage (loss of short-term memory) and may be deadly in severe cases. Diarrheal shellfish poisoning is caused by okadaic acid, which prevents de-phosphorylation of cells in gastrointestinal system and causes diarrhea, nausea and vomiting. It is not a life threatening ailment and a symptom normally stops after a certain time. Causative agent of neurotoxic shellfish poisoning is brevetoxin (and substances similar to it). It is usually not fatal but may cause neurological symptoms such as speech problems (slurred speech, difficulty to talk). Also abdominal pain accompanied with diarrhea, vomiting and nausea may be present. Paralytic shellfish poisoning is caused by a neurotoxin called saxitoxin, which is produced by microscopic algae, such as diatoms, dinoflagellates and cyanobacteria. It can be fatal in extreme cases however it usually causes symptoms such as abdominal pain (accompanied by nausea, vomiting and diarrhea), burning or tingling sensations (affecting mainly lips, tongue, gums, face, arms, legs and toes). Some other symptoms also include shortness of breath, choking feeling and dry of mouth. 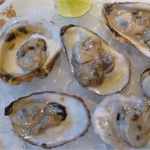 Cyanotoxin is produced by cyanobacteria, may accumulate in oyster shells and can cause lethal poisoning. It is really important to know about the type of oysters. The reason behind this is that oysters obtained from certain areas can make you ill because they contain dangerous bacteria. One example of this is Vibrio Vulnificus bacterium which is commonly found in the coastal regions and the total number of these bacteria is increasing day by day. There is a high probability that the oysters can get infected with bacteria, which can in turn infect humans when consumed. 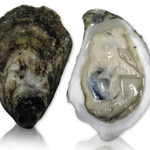 Some common side effects of eating bacteria infected oysters include vomiting, diarrhea, fever and skin reactions. A person can even go into a shock if not treated correctly. In general heat can destroy the bacteria. 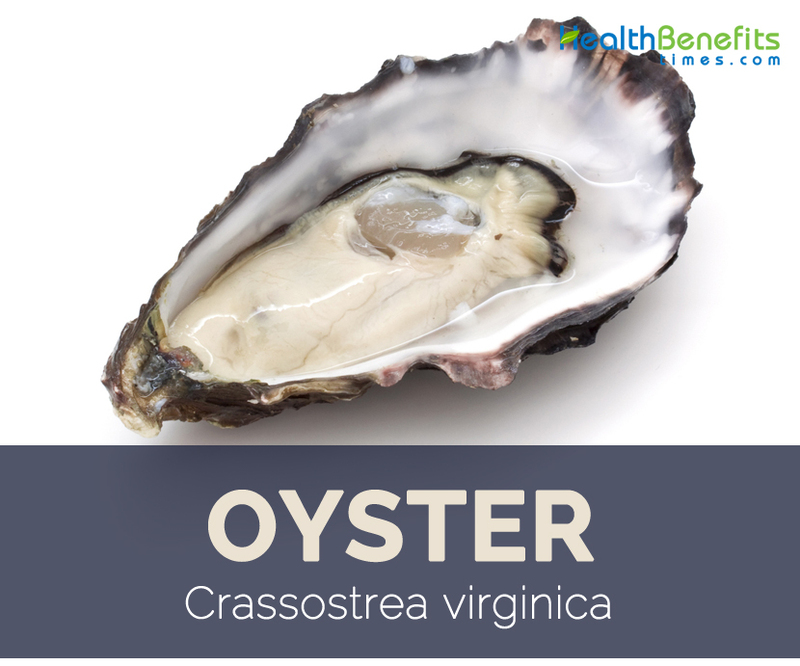 So make sure that you never eat raw oysters and only eat properly cooked oysters to avoid bacterial infection. Another side effect of oysters is that they can cause food allergies. A protein present in oysters by the name of tropomyosin is responsible for causing oyster allergy. Some major side effects caused by oysters in people who are sensitive to tropomyosin are facial swelling, skin rashes, abdominal pain and other side effects. The iron content in oysters is quite high. A 3 ounce serving of oysters can fulfill 44% of your daily needs. Iron is important for the body but people suffering from hemochromatosis (a genetic condition which automatically increases the amount of iron in the body) shouldn’t eat oysters because they can cause dangerous side effects. Some of these side effects include lethargy, loss of hair, abdominal cramps and changes in skin color. 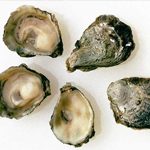 Eating oysters can also cause gastrointestinal problems caused either by toxins (see shellfish poisoning section above) or by high content of zinc in oysters, which can cause some gastrointestinal problems. Some of the major reactions include diarrhea, abdominal cramps and vomiting. These effects will be visible within five to six hours after consumption of oysters. But they end when the zinc levels in the body fall back to normal. Oyster is the name given to the different families of bivalve molluscs and saltwater calms that live in the marine environment. The valves become hard in some species and get an irregular shape. Many oysters belong to the family Ostreoidea. Some types of oysters are eaten and consumed in raw or cooked form. Some pearl oysters are harvested for pearls, which is made inside their mantle. The word oyster was first used in the 14th century, which is derived from the Old French word ‘oistre’. This French word is in turn derived from the Latin word ‘ostrea’. 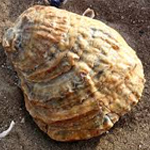 Oyster shell are irregular in shape and the shell is made up of two valves, the upper one flat and the lower convex, with variable outlines and a rough outer surface. 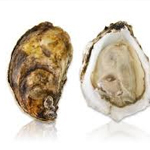 Edible oysters can be consumed raw or can be consumed on the half shell, raw, smoked, boiled, baked, fried, roasted, stewed, canned, pickled, steamed, or broiled, or used in a variety of drinks. Growing Climate Found throughout the world’s oceans, usually in shallow waters and in colonies called beds or reefs. Shell Size & Shape Usually oval or pear-shaped, but will vary widely in form depending on what they attach to. Normally somewhat irregular in shape about 4 to 6 in. (10–15 cm). Predators Fish, such as striped bass, black drum and croakers. Calories 169 Kcal. Calories from Fat 96.21 Kcal. Calories 50 Kcal. Calories from Fat 11.88 Kcal.